Caffeine is a vasodilator, meaning it makes your blood vessels slightly larger in diameter. However, that’s not the case for your whole body. 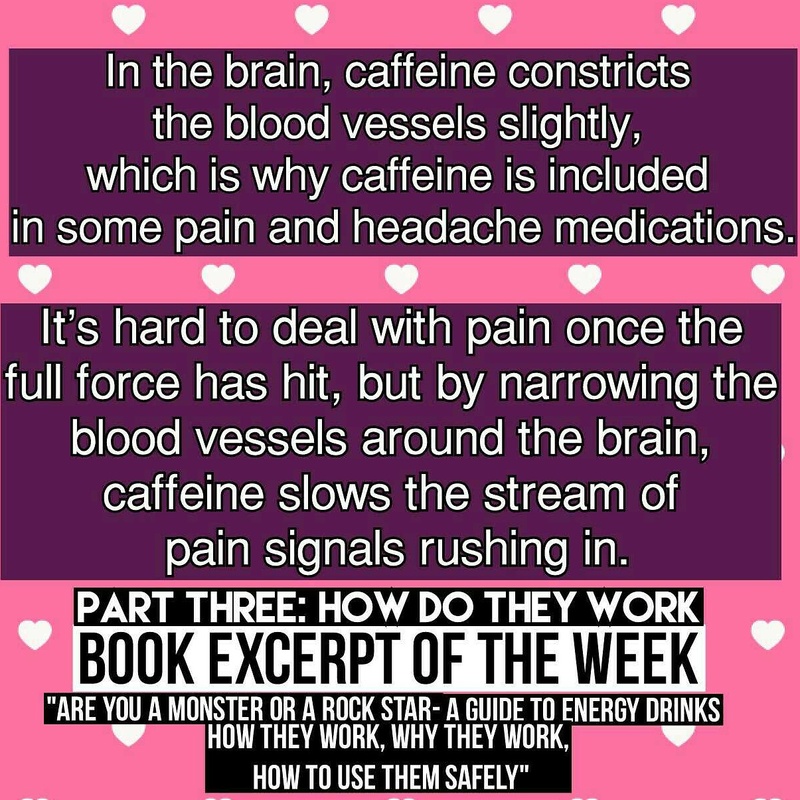 For the Book Excerpt of the Week, we look at why caffeine is often included in some pain and headache medications. Stay tuned for the next Book Excerpt of the Week from “Are You a Monster or a Rock Star-A Guide to Energy Drinks: How They Work, Why They Work, How to Use Them Safely”, available on Amazon and wherever books are sold.